LEGEND and LORE: Gemmy Oregon Sunstone is used well with the first two chakra areas, as it is one to inspire sensuality, romance and sexuality. It also inspires freedom, originality, independence and luck. 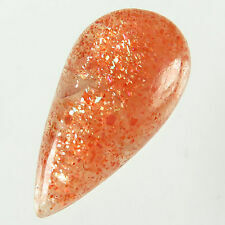 SCHILLER OREGON SUNSTONE 2.93Ct FLAWLESS-FROM PANA MINE-AMERICAN GEMSTONE! 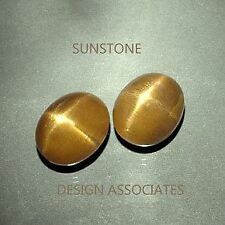 PEACH-COPPER-WALNUT SCHILLER OREGON SUNSTONE 4.74Ct FLAWLESS-FOR TOP JEWELRY! PASTEL GREEN-PINK DICHROIC OREGON SUNSTONE 2.02Ct FLAWLESS-AMERICAN GEMSTONE! GREEN-PINK-GOLD OREGON SUNSTONE 4.54Ct FLAWLESS-AMAZING CLR-FOR JEWELRY-VIDEO! GREEN-GOLD-PINK OREGON SUNSTONE 2.20Ct CLARITY VS2-VERY BRILLIANT GEMSTONE! SCHILLER OREGON SUNSTONE 2.67Ct FLAWLESS-FROM PANA MINE-FOR JEWELRY! 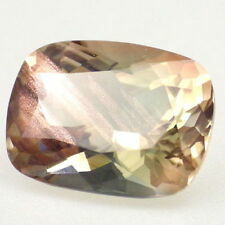 PEACH-PINK-WALNUT OREGON SUNSTONE 2.26Ct FLAWLESS-PERFECT FACETING-FOR JEWELRY! SCHILLER OREGON SUNSTONE 11.19Ct FLAWLESS-LARGE-FROM PANA MINE-PERFECT CUT! 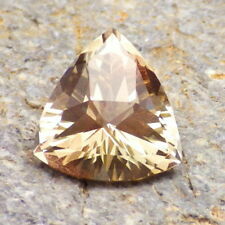 PEACH-PINK OREGON SUNSTONE 2.10Ct FLAWLESS-VERY ATTRACTIVE COLOR-FOR JEWELRY! Custom designed by Arya Akhavan, collector grade. CUT: PANA MINE Shifting Sands by Arya Akhavan. Master Cutter: Robert - USA. 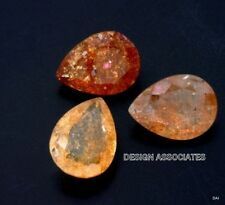 LEGEND and LORE: Gemmy Oregon Sunstone is used well with the first two chakra areas, as it is one to inspire sensuality, romance and sexuality. PASTEL SEAFOAM GREEN OREGON SUNSTONE 1.27Ct FLAWLESS-PERFECT CUT-FOR JEWELRY! SEAFOAM GREEN SCHILLER OREGON SUNSTONE 1.80Ct FLAWLESS-FOR TOP JEWELRY! PEACH OREGON SUNSTONE 2.51Ct FLAWLESS-BEAUTIFUL COLOR+CUT-FOR JEWELRY! RED-PINK-ORANGE OREGON SUNSTONE 2.65Ct FLAWLESS-FOR HIGH-END JEWELRY-RARE! *** 50% OFF SALE *** PEACOCK GREEN-BLUE OREGON SUNSTONE 5.63Ct FROM PANA MINE!! PEACHY-PINK-GREEN SCHILLER OREGON SUNSTONE 3.32Ct CLARITY SI2-TOP COLLECTOR GDE! Green-Teal-Peach Multicolor Mystique OREGON SUNSTONE. MATERIAL: Natural untreated FELDSPAR-CUPRIANLABRADORITE Var. CLARITY SCALE: From best and cleanest with no visible inclusions (FLAWLESS) to heavily included (P3):FLAWLESS - VVS1 - VVS2 - VS1 - VS2 - SI1 - SI2 - P1 - P2 - P3. SCHILLER OREGON SUNSTONE 2.45Ct FLAWLESS+CRYSTAL PLANE LINES-VIDEO! New PANA MINE Design by Arya Akhavan. Faceted in the USA. CUT: PANA MINE Ninja Star by Arya Akhavan. Master Cutter: ROBERT - USA. 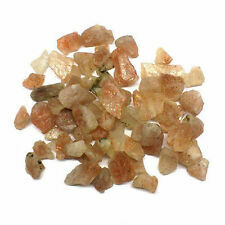 LEGEND and LORE: Gemmy Oregon Sunstone is used well with the first two chakra areas, as it is one to inspire sensuality, romance and sexuality. New ListingGREEN-TEAL DICHROIC SCHILLER OREGON SUNSTONE 2.66Ct FLAWLESS-FOR TOP JEWELRY! New ListingPINK OREGON SUNSTONE 0.52Ct FLAWLESS-PERFECT SMALL RING SIZED GEM! 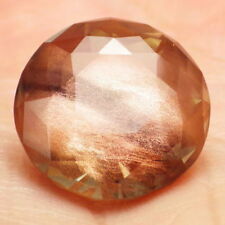 WALNUT-PEACH OREGON SUNSTONE 6.33Ct FLAWLESS-PRECISION AMERICAN CUT! New ListingPINK-TEAL SCHILLER OREGON SUNSTONE 1.99Ct CLARITY VS2-COLLECTOR GRADE! SEAFOAM GREEN OREGON SUNSTONE 2.38Ct FLAWLESS-FROM PANA MINE-FOR JEWELRY! SCHILLER OREGON SUNSTONE 3.07Ct FLAWLESS+CRYSTAL PLANE LINES-FROM PANA MINE!